Why do we need to adopt Electric Vehicles? The U.S. passed its peak of oil production in 1970. During the dual oil crises of the 1970's the U.S. imported 35% of its oil needs, and today it imports nearly 70% of its oil needs. The world oil peak is due to happen relatively soon, either it has already happened, or it will occur within the next 10-20 years. Oil availability and price follows a clear supply/demand arrangement.. the demand for oil is inexorably rising as population increases and as oil-burning technology is more widely deployed around the world. Especially as India and China transform from 3rd world to modernized industrialized nations their relative use of oil will increase per-capita. However when an economist discusses "supply/demand" as a way of controlling price the arguments assume an infinite total supply. However with oil derived from fossil times, the total supply is limited to the amount in the ground, the total production capacity is related to the quality of the oil fields, and when the oil runs out it will require millions of years for the planet to recapture the carbon and turn it into oil again. Electric vehicles do not (directly) rely on oil to move. Because the electrons can come from any source it gives society huge flexibility in choosing the source of the electrons. Burning oil produces a wide range of poisonous chemicals in the exhaust. Studies have shown these poisonous chemicals to cause a range of illnesses from asthma to cancer. Burning less oil will decrease the amount of poisonous vapors in the atmosphere. Electric vehicles do not (directly) rely on oil to move. The electrons can come from any source, including ones who do not burn fossil fuels. So long as the majority of vehicles are burning fossil fuels the quality of the air will be negatively impacted, we all will be breathing these poisons into our bodies, and our health will be negatively impacted. Again, burning fossil fuels produces a range of poisonous chemicals. These go into the air, water, ground, and end up in our food. Burning fossil fuels means desequestering carbon that had millions of years ago been plants and animals. The carbon which had formerly been those plants and animals is being added to the ecosphere, and increasing the total amount of carbon in the ecosphere. Carbon levels are directly responsible for effects like global temperature. The mining, refining, transportation, and consumption of fossil fuels involves occasional accidents that spill these fuels into the environment. Crude oil is highly toxic and directly negatively impacts the wellbeing of wildlife. Oil spills are difficult to clean up and the effects last for years. Q: What is an EV? A: EV stands for Electric Vehicle. This can be any vehicle which uses electricity for propulsion, including hybrids, fuel cell powered, solar powered, battery powered, floating trains, electric subways, ect. Q: What is a BEV? A: BEV stands for Battery Electric Vehicle. These store most or all of the electrical energy needed chemically in batteries on the vehicle. Q: What type of battery do most BEVs use? A: Historically, almost all BEVs use lead-acid deep cycle batteries. The better availability of good quality lower cost lithium-ion battery packs is changing that quickly, and is what enabled electric cars to become practical. Q: What are some advantages of BEVs? A: They are clean and quiet. They don't emit any odors or toxic gases. They can be powered from any source of electricity making them independent on oil or any other fossil fuel. The drive system is simple. They are easier than ICE vehicles to maintain. Q: What makes an EV go? A: Electrical energy is converted to motion by an electric motor. Most EVs use a low-voltage DC motor. Q: What controls the speed? A: The motor power is almost always controlled by PWM (pulse width modulation) done by semiconductors in a controller unit. Q: How do you "fuel up"? A: Recharging the batteries requires a charger that usually plugs into a 120v wall socket. 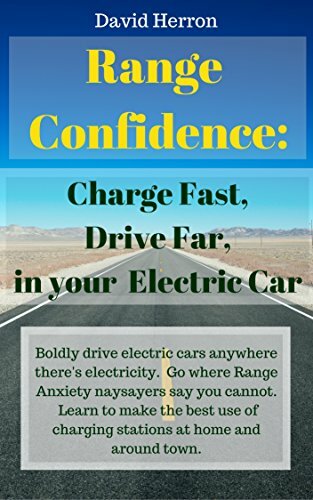 Most EVs take several hours to charge. Q: Do the batteries ever need to be replaced? A: Yes, about every 2-4 years. Q: Does it matter if I leave the batteries discharged? A: Yes. It is best to keep lead-acid batteries completely charged, but they will be okay if they sit for short periods discharged. Q: Do I need to drain the batteries completely dead to prevent a memory effect? A: No. Lead-acid batteries do not have any memory effect, and draining them down completely dead can damage them. Leaving a lead-acid battery in a semi-discharged state will damage the battery pack as well. Therefore, electric vehicles with lead-acid packs should be recharged quickly. For electric vehicles with lithium-ion battery packs, there is no memory effect, and the battery can be left in a semi-discharged state with no damage to the pack. Q: My battery has died. Can I drain and refill the electrolyte to restore it? A: No, because the active material inside the battery is depleted. Sometimes adding water will help if the electrolyte level is low. This question is applicable only to lead-acid battery packs. For other battery chemistries the electrolyte is not at all replacable. Q: Why did the SLI batteries for my golf cart/other EV die so quickly? A: SLI (starter lighting ignition) lead-acid batteries are not designed for deep cycle use, and should never be considered for a BEV unless you have old batteries for testing. Q: Can I use a generator to generate the electricity needed that is driven from a wheel? A: No, because some energy will be lost in the process. Perpetual motion is not possible. Q: Can I use a windmill on the vehicle to generate the electricity needed while driving? A: No, see above. You can however use a windmill to charge the vehicle while it is parked. Q: Can I cover my EV with solar panels and drive forever in the sun, like solar cars do? A: Not really because the energy generated from the panels will not be nearly enough. Solar cars are extremely light, aerodynamic, and efficient. Q: Can I cover my EV with solar panels to charge it? A: You can, but the energy generated from the panels will most likely not be enough. Q: Why is the rated hp of my EV motor so low? A: Motors are rated at their continuous output power, and can peak 2-4 times that. They also produce full torque at startup. Additionally, with a direct drive setup, they suffer no losses from a clutch or torque converter. Q: I noticed that capacitors have a very high cycle life. Can I use them instead of batteries? A: Not really. Ultracapacitors have a very low specific energy compared to lead-acid batteries. They are also very expensive for the amount of energy storage. Q: Can I use a starter motor to power a small EV. A: Starter motors are not recommended because they are not designed to run continuously. They are also not very efficient. Although they can work. Q: Can I use a car alternator for an EV? A: It would be difficult to do because an alternator does not have a commutator and will not run on DC. Q: I heard x battery technology can offer a 200 mile range, be charged in 5 min, and last for a million cycles! Where can I get it? A: It is much easier to make claims than deliver results. Don't trust them. Permalink Submitted by marcharm on Wed, 01/21/2009 - 05:41.
tires. Is the very small tire size of the electric motorcycle going to follow and evolve to the more controllable size of other motorcycles in the near future. It seems with the new lithium ion batteries that the torque of the electric motor could be changed to accomodate the larger tire size of the more common motorcycle. Permalink Submitted by ElectricBike on Fri, 05/07/2010 - 20:19. OK, I'm sold on an e-bike. Where are the most affordable and reliable online websites to buy an e-bike? I'm looking for a good multi-speed e-bike but $1,500 is beyond my price range, let alone $2,000 or more. Permalink Submitted by Jim Lowder on Fri, 08/07/2015 - 08:43. So if you were givin a 07 Vectrix that is completely dead what would be your first steps, " other than run like heck" or "give it back" the owner passed and it sat and wasn't touched for 2 years, and his wife gave it to me. Permalink Submitted by Scotter on Fri, 08/07/2015 - 18:56. My deepest condolences to his wife, family and friends. Always sad to lose a fellow Vectrix owner. It's nice to know you are willing to look into fixing the scooter. 1st: SAFETY FIRST - Messing with charged VX-1 batteries IS DEADLY. 125V DC is extremely dangerous. IMHO far worse than 120/220 VAC. If you touch across the terminals you could instantly stop your heart. So if you want to preserve your vital-signs, you must always follow procedures for dealing with high-voltage. It's your job to learn this independently and no rely upon individuals and opinions. Read and understand high voltage handing procedures and be very mindful of what you are doing at all times. I know a guy that got zapped by his scooter. He lived only because his wife was there and revived him with CPR. He bought her a horse she was wanting for years prior... hmm... wonder why? 2nd: When re-connecting the batteries, follow IRC procedures. IRC is In Rush Current. When you connect the batteries, some large caps load up very quickly which can/will blow fuses (that are hard to replace) and damage the controller. Look up how to deal with IRC procedures for Vectrix Scooters (typically using a light bulb). 3rd: Get the repair and training manuals -- go to http://websd-vectrixscenecom.webs.com, join as a free member and locate the manuals in the files menu and download, read about how to take your scooter apart. 4th: Research - find out if it was running/charging before being left to sit for two years. It's possible to bring NiMh batteries back to life, but there is little point if the scooter didn't run for other reasons or the charger failed. Were there any errors on the dashboard? I'll assume it was running and it just sat for two years. 5th: Assuming batteries are flat, then the scooter will not recharge them because it locks out the charger if the batteries are under 100V. So you need to get the batteries back to 100V, even for just a few mins, so the scooter will do it's own charge/restore process. If there is a damaged for bloated battery then it will need to be isolated and replaced first. If they all measure about the same and none are damaged/leaking/bloated, then you can use a freddy-charger to bring up the voltage slowly. You can use a lightbulb to drain the batteries and then use the freddy charger to bring them up to 100+V, then drain again. Repeater a couple of times. Then follow IRC procedures to connect the battery to the controller. 6th: your first ride might only get you a few hundred feet. This is how it worked for me. 600 feet, then recharge, then a mile, then 3 miles, then 10 miles, then 25 miles... then boom! Blew a battery. I should have drained them to zero, for forced a restore procedure to balance them... arg. you can always sell parts and make some coin. parts are rare and getting expensive. I've been able to pick up scooters for nearly free because there were no dealers, but now Vectrix Corp is dead, people are getting more money because parts are limited.